Who are these guys? Our pets? The latest reality TV stars? The top boy names for babies in 2014? No, no and no. They are restaurants, two long-time favorites and two newcomers to the dining scene. And like the silver and gold of the familiar saying, they have all have earned our deep affection. Two are here on our home turf in Minnesota: Vincent, in downtown Minneapolis, and Victor’s on Water Street in the west metro suburb of Excelsior. The other two are a wee bit further, across the ocean in fact, in the heart of Dublin, Ireland: ely wine bar and Stanley’s Restaurant. 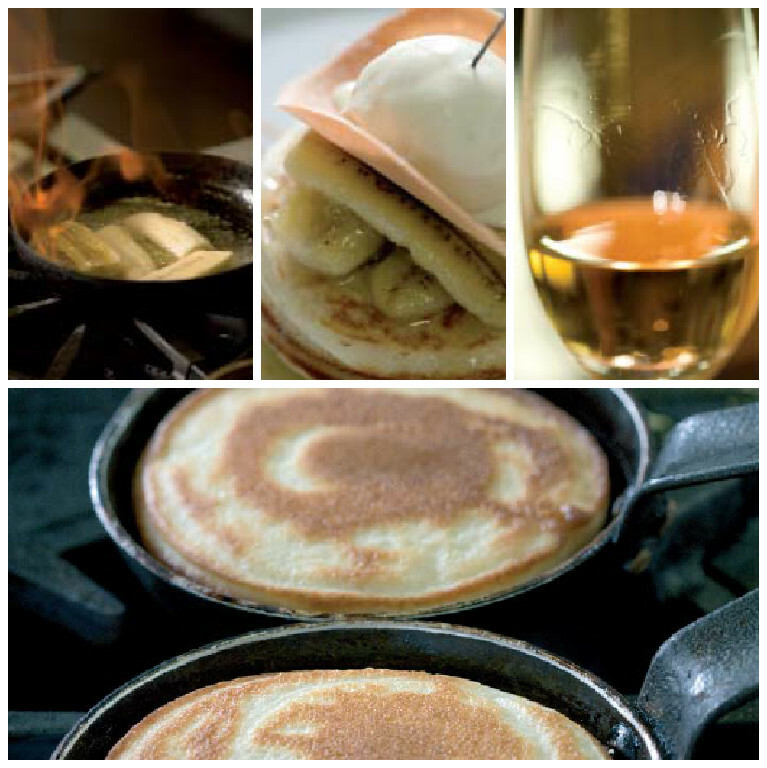 Pancake Tuesday is one week from today, so why not get trying our big kids Banana Pancakes with Brandy Cream recipe in the meantime! Sieve the flour into a bowl. In another bowl, whisk the eggs, milk and water together. Make a well in the centre of the flour, then slowly stir the egg mixture into the flour. Cover and keep in the fridge overnight.Heat a non-stick pan. Add a small cube of butter and allow to melt. Ladle in enough pancake mixture to make a circle that holds its shape. Turn as it cooks. 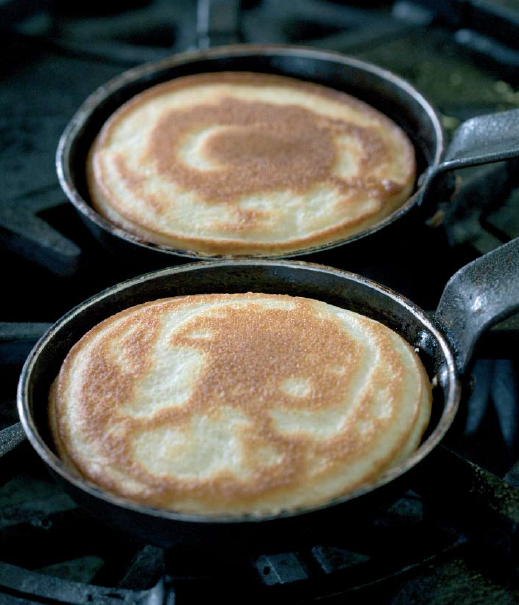 Place each cooked pancake in a stack on a warmed plate. Meanwhile, peel the bananas and cut in half lengthways. Melt butter in a frying pan and cook the bananas until slightly golden. Remove the bananas, carefully pour the brandy into the pan to deglaze and add the cream. Slowly reduce by half. Place 2 pieces of banana on top of each serving. Drizzle with the brandy cream and enjoy! WARNING: Brandy is highly flammable. Be very careful when you’re deglazing the pan. Reduce the flame first. and long finish. A real treat that works well with the sweetened banana and the heady brandy. A ten-year-old Tawny port such as Warre’s ‘Otima’.